With Canada Day just around the corner, like many Canadians I am thinking about what it means to be Canadian. To me, being Canadian means being AWESOME in so many ways! Here are a few of the things of which I am most proud and grateful. I am most proud to be a Canadian because most of us are immigrants from somewhere, yet we can all call Canada home. 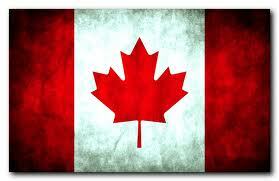 I am Canadian because of a smart decision my great-grandfather D.L. made. He decided to leave Russia to bring his family to Canada for a better life. Thank you D.L.! I know how fortunate my entire family and extended family are because of this courageous and selfless move that he made so many years ago.